A special, limited edition story, available from November 23 to January 6 only! 100 % of Author Royalties will be donated to Toys for Tots. 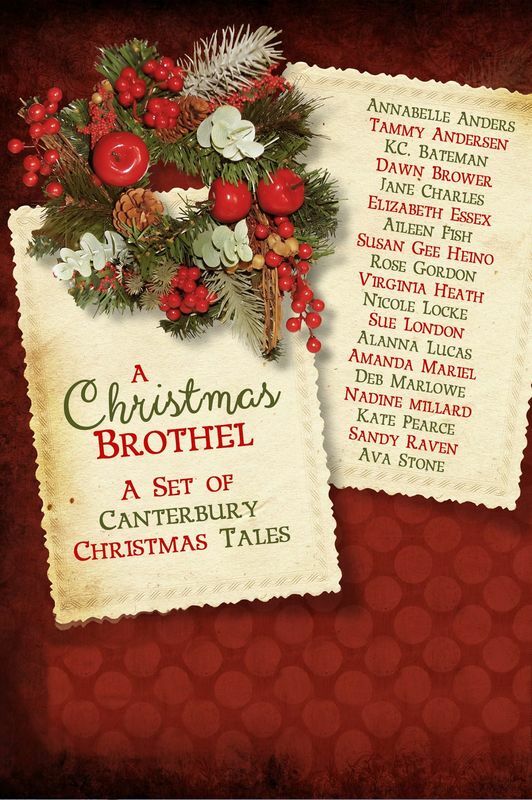 A Christmas Brothel is made up of many short tales told in the tradition of Canterbury Tales. My story is The First Taffy Maker to the King. Read on for an excerpt! The audience before him sighed. Gareth was perched in the kitchen, at the end of the long, scarred oak table. Frau Klaus, now dressed grandly in a green gown set off with a green and gold silk turban, fluttered about the kitchen, putting thin, ginger biscuits on platters. The kitchen assistants, several of the house girls, the maids and the boot boy were all gathered, sneaking tidbits and listening to his story. “No fool, that one,” Bríet, the Nordic-looking girl, said. “I’d ‘ave sought ‘im out, too,” the maid at her elbow whispered. “Yes, you did!” a footman cheered.